Here is a list of films that I have found to be very good, but also quite intellectually stimulating. I know that sound really pretentious, but for the sake of description and categorising, that is how I perceive these films. To be on this list, I have actually had a discussion of each of these films with someone else who has seen the same film. The New World - A film by Terrence Mallick. It tells the story of Pocahontas. It is a huge movie, with wide open shots. It instils a sense of tranquillity, the calm before the storm of European colonization of the New World. It deals with Pocahontas and the clash between civilizations. My only gripe? It is too far embedded in the notion of the Noble Savage. Kingdom of Heaven (Director's Cut) - A film by Ridley Scott. The original film is boring, confusing and messy. The director's cut is neat, nice and epic in scope. I recommend watching the director's cut. It deals with the Crusades, largely from the perspective of Balian of Ibelin who is somewhat an active-observer to the entire Crusades. 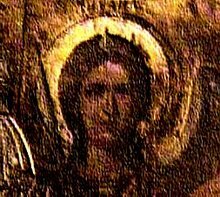 This film asks about religion, the nature of our faith and of God. At about 3-hours, it is quite lengthy. It is important to watch the Director's Cut, the original film does not make sense. Fantastic Planet (La Planète sauvage) - I've talked about this film in a previous post. Silent Running - Again, I've talked about this film before. Ten Canoes - A story within a story. The story of a young man and what happens when he listens to his elders, or when he doesn't. It is a description about the nature of story-telling in Aboriginal society from a white director's (Rolf de Heer) perspective. 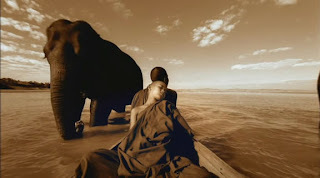 Ashes and Snow - An art film from Gregory Colbert, narrated by Lawrence Fishburne. A poetic description of the connection between people and animals. Highly evocative visuals, film score and narration. The Prestige - What is magic? What are secrets? How far would people go to find the answers to these questions. The Last King of Scotland - A young doctor's slow decent into realising that a charismatic leader is more monster than human. The Three Burials of Melquiades Estrada - A sad movie about people who are distant, emotionally and socially. The disconnect between us all and how modern society doesn't seem to be quite well when it comes to interpersonal connections. The Mosquito Coast - Peter Weir film, starring Harrison Ford. Ford goes anti-capitalist, goes bush and lives with a notion of the noble savage. He takes his entire family along for the ride. As they detach themselves from the world, they become more desperate. Incident at Loch Ness - A fake documentary by Zak Penn, starring Werner Herzog. Its a funny film and get more and more sillier as the film progresses. Grizzly Man - A documentary film by Werner Herzog. Timothy Treadwell is a grizzly bear activist. This film focuses on his relationship with the bears, which ends with an attack by a grizzly.